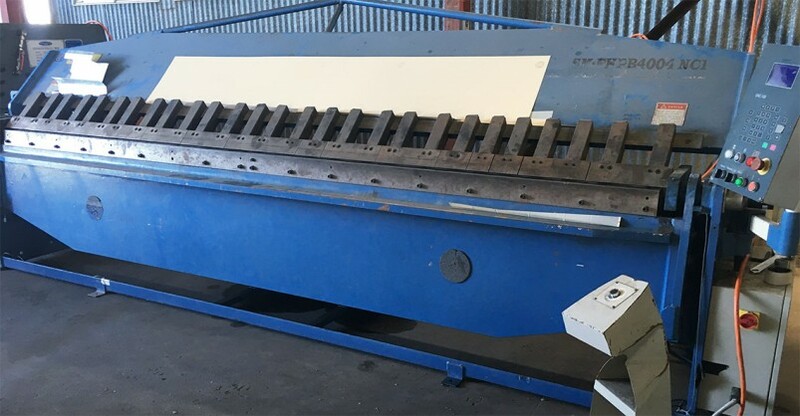 Over the Christmas break, we have installed a 4 metre Steel Master Guillotine and Pan brake Folder. This allows us to produce all types of Flashings and Capping’s for Roofing & Guttering, Folded products for Toolboxes and Animal Cages, and other folded ancillaries. We are aiming to keep all Zincanneal & Colourbond 0.55BMT Material in-stock and available with a minimal lead time, as well as heavier material in Zincanneal & Galvanised, and Select Stainless Steel Sheeting. This service is just one of the many offered by Fencing North West. It allows a quick alternative for customers previously having to wait for Product to be produced in Sydney and shipped to store.